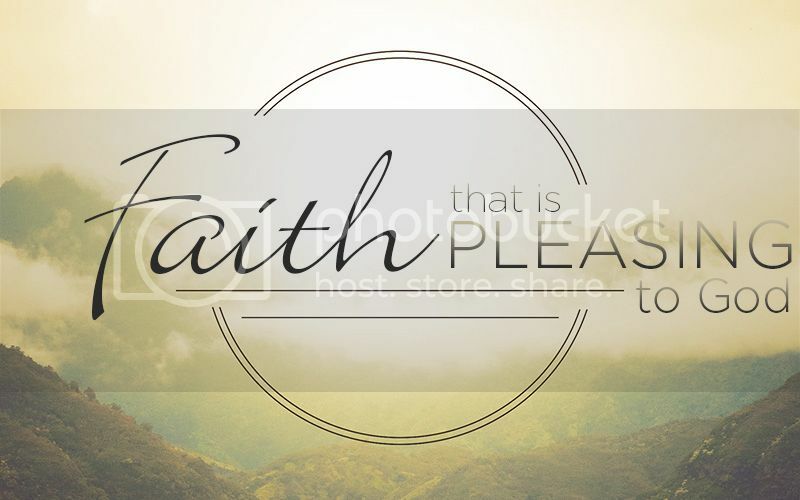 Without faith in God, we can’t please Him, serve Him, or hope to live eternally with Him. This statement is something that a great many individuals would agree with, not only because scriptures like Hebrews 11:6 teach it, but because it makes perfect sense. After all, how in the world could one serve God but yet doesn’t believe in Him? Saying, “I believe in God” or “I believe that Jesus is God’s Son” are important statements. In fact, without believing those things, one won’t be able to serve God as He desires. Making those statements in the absence of any “follow up” actions, however, isn’t enough to please God. James writes that, “faith without works is dead” or “useless” (James 2:20). To illustrate how faith can be pleasing to God, James uses Abraham as an example. Abraham’s willingness to offer his son Isaac made him “justified” in God’s sight as it proved not just that he believed in God, but that we was willing to follow through with what he was told to do. Indeed, “by works faith was made perfect” (James 2:21-22). To further emphasize his point, the inspired writer states that, “a man is justified by works, and not by faith only” (James 2:24). It’s important to know that in a discussion of faith and works that the two should not be viewed as being in “competition” with one another. Too often, religious debates, discussions, and arguments center on this so-called contest. In reality, neither of the two (faith and works) is more or less important than the other. Instead, all of us need to appreciate the God-inspired truth which teaches us that without both aspects of obedience in place, we’ll fail at serving God. A faith that is void of full obedience to God’s word will never be pleasing to God. In fact, without our works, our faith will not be “perfected” as was Abraham’s. No Christian would ever say he wants to have a “dead faith.” We desperately want God to see our faith as alive and vibrant. We want our brethren to be encouraged by our faith. And we want the world to see us as serious men and women of faith. When we say that we believe in God and love Him, that’s great. But if we ever say that and don’t follow it up with our obedience to His word, we are likened to being dead (James 2:26). With each day, let us dedicate ourselves to a strong faith and vibrant works in service to God. If we do that, He’ll be pleased, our brethren will be strengthened, and a lost and dying world will find out what pleasing faith is all about.